One or more photo(s) has been virtually staged. Watch your new home be built from start to finish! This about to break ground Endeavor plan offers classic appeal with modern comforts. 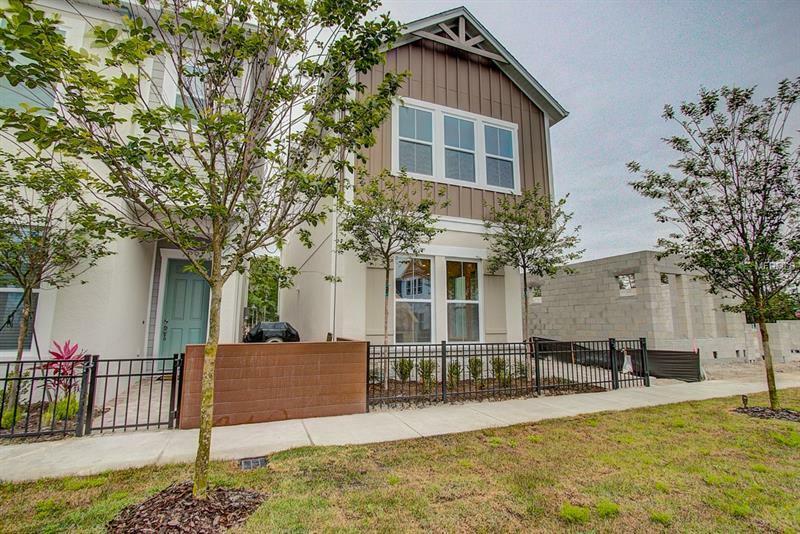 The Endeavor is a three bedroom/2.5 bath, 2-story home with rear alley access 2-car garage. The light and bright modern kitchen features an expansive island with Viatera quartz countertops, Timberlake Kinsdale Pewter glaze cabinets, modern, white subway tile backsplash, and GE front controls Dishwasher, GE over the range microwave, and GE Free-Standing Gas range. Energy-efficient windows allow the open floor plan to fill with natural light. Your spacious master bedroom includes a luxury bathroom and a walk in closet. The spare bedrooms share a Jack-and-Jill bathroom and provide plenty of living and closet space. Enjoy a superior degree of convenience with the built-in desk and staircase closet. Experience The David Weekley Difference today! Copyright © 2019 Mid Florida MLS. All rights reserved. The data relating to real estate for sale on this web site comes in part from the Internet Data Exchange Program of Mid Florida MLS. Information provided is for consumer's personal, non-commercial use and may not be used for any purpose other than to identify prospective properties consumers may be interested in purchasing. Watson Realty Group participates in the MFRMLS Internet Data Exchange (IDX) program, allowing display of other MFRMLS broker's listings on this site. However may not include all listings currently available. Information is deemed reliable but not guaranteed. Information last updated at 2019-04-22 18:45:50.